For your LG Tromm washer to perform a washing cycle, the door must be closed properly. If the door isn't closed, or if there are problems with it, your washer displays an error code, which is usually a "dE" error. Problems that may interfere with your door include obstructions on the door seal and overloading. When this problem occurs, a little troubleshooting may help you define the problem and resolve the "Door Error" code. Check your LG Tromm washer's door if you see a "dE" error on the display. This error usually appears if the door isn't closed properly. Close the door completely. If it can't close, check your load. 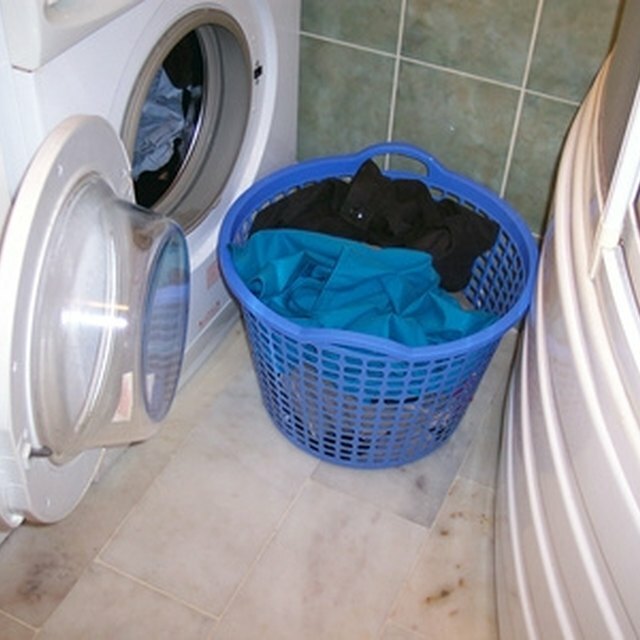 If the load is too bulky or overloaded, separate your laundry into two or more loads. Check the door seal for items such as paper clips, and stones if the error code still shows. Remove obstructions and close the door. If the door is locked, press the "Start/Pause" button to stop the washer if it's running. This automatically unlocks the door. How do I Troubleshoot Kenmore Washer He2 110-4646 2500?